Myanmar should guarantee the rights and medical care of children from the Rohingya Muslim minority detained in an army crackdown launched in October, a U.N. human rights investigator said on Thursday. Children as young as 10 were among hundreds of men detained on charges of consorting with Rohingya insurgents, Reuters revealed in March, citing a previously unreleased police document. Thirteen juveniles were among more than 400 arrested since Oct. 9, when insurgents attacked police posts in northwestern Rakhine state, near the border with Bangladesh, according to the police document, dated March 7. The insurgent attacks led to the biggest crisis of leader Aung San Suu Kyi's first year in power, prompting some 75,000 Rohingya to flee the subsequent army crackdown to Bangladesh. 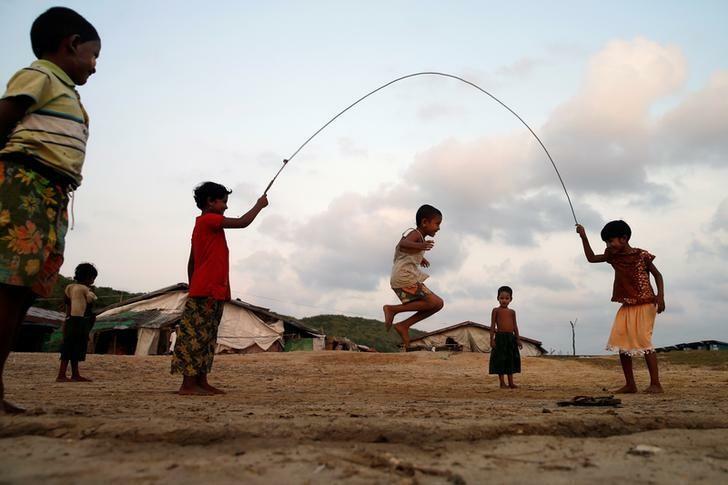 Speaking at the U.N. Human Rights Council in Geneva, Yanghee Lee, the organisation's special rapporteur on human rights in Myanmar, said children should not be "arbitrarily deprived of their liberty" and the government should guarantee their right to timely proceedings. "I remind the government that children should be detained strictly as a last resort, for the shortest appropriate period of time, and must be treated with humanity and respect in a manner which takes into account their age," said Lee. She also urged the government to investigate the death of a child who, according to the government, died because of ill health in February. The government did not report the death until last week, she said. In April, a deputy executive director of the U.N. children's fund (UNICEF), Justin Forsyth, sought the release of the children while on a visit to Myanmar. The United Nations, in report based on interviews with Rohingya refugees in Bangladesh, said Myanmar's security forces had committed mass killings and gang rapes against Rohingya during their campaign, which could amount to crimes against humanity. Myanmar's ambassador in Geneva, Htin Lynn, did not directly address the issue of the detained children, limiting his remarks to say that the Convention of the Rights of the Child applied "equally to all children in Myanmar". Lee also called on Myanmar to "fully cooperate" with a recently established U.N. fact-finding mission to investigate the alleged human rights violations by the military. Suu Kyi has opposed the mission, saying this week it would create "greater hostility between the different communities". "It will not help solve the problems Myanmar is facing in Rakhine State ... We are ready to work with the international community on any advice or arrangements should they constitute part of the solution, not part of the problem."